This was my first foray into maternity photography in Jakarta. And to tell you the truth, was a little bit nervous. Without the energy of little children, I wondered, would this session have enough dynamism? As it turns out though, working with adults is WAY EASEIR than working with children. I mean, adults follow instructions! They stay where you pose them! They look at the camera when you ask! It was kind of a revelation. And so, I came away from this shoot happy. I wanted to give my clients a portrait of that waiting era: that liminal period when it’s just the two of you, but not really, because there’s almost three, and your heart has expanded but you don’t yet know how much it still has to grow, and you can feel that a sea change is imminent, but you can’t quite picture how your life will look two months hence. And so, together, just the two of you, waiting, waiting, waiting. I’d love to do more shoots like this. If you’re expecting, and you’d like to make something special, let’s talk. You can email me at ericaknecht@gmail.com. Do you guys know how amazing this city is early in the morning? The streets are still quiet, the air a little fresher, and the light is just so good. I met up with Joanne, Keith and Chase recently to make some photographs. The brief was simple: just some simple images of their family in the home; they wanted to capture their wee boy on that precariously heartbreaking cusp between toddler and boy. So we met up, I tried to do some indoor shots of the family, but this boy, well he wasn't into it. He wanted out. He wanted to run. So we followed. We went out and explored the neighbourhood, up graffiti lined streets and down narrow allies. And it turned out to have been the best. Kids know, I tell you. It's like a life lesson, I'm sure. Follow their lead. They'll show you the way. Leaving is tough, isn't it? Saying good by to that home where your toddler took his first steps, to that room where you nursed your infant in the stillness of the night, to that pool where your big kid grew two sizes the day she learned to swim, it’s poignant, and painful. Those rooms in which your memories are housed now become memories themselves. Saying goodbye to place is difficult. But saying good bye to the people that helped raise your kids, that is, you know, heartbreaking. These lovely souls who brushed away your little one’s tears, or who lifted your boy into the driver's seat of the car, and played race cars all afternoon, or those beautiful people who reached out held your baby when you just needed to catch your breath, well, these people become bonded to us like family. 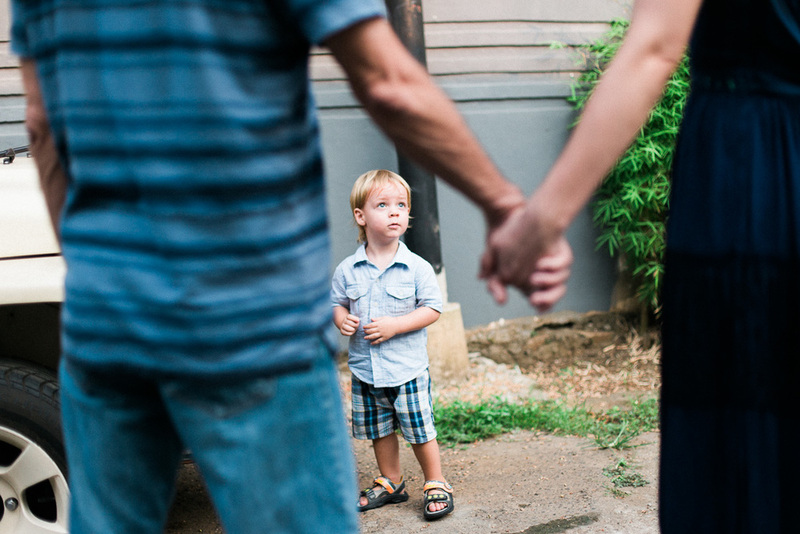 Recently, a lovely family booked a session right before leaving Indonesia. Their children are tiny, too tiny to really hold onto any memories of their first home. These little boys would move away and never really remember Jakarta home, or their life here. These boys would never know how Pak Ari was devoted to the bigger one, or how the Ibus loved the baby with gentle, patient hearts. 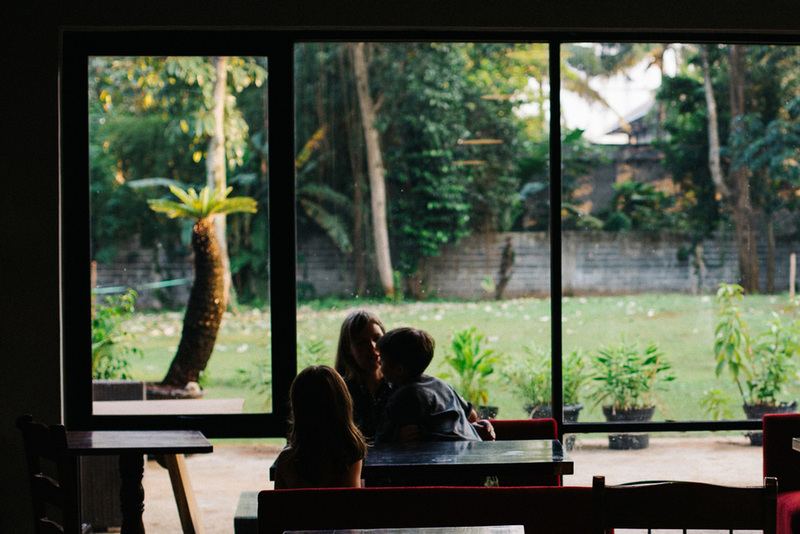 This family asked for pictures of them in their Jakarta home. But they also asked for pictures of the whole household. The nanny, the driver, the housekeeper. Each one of these people has played a role in helping this family make a home here. And the mum wanted to make sure that their boys knew these lovely faces, and that their helpers would remember them for always. I’m a firm believer in preserving our stories. Our stories, weather we know them or not, shape us. The people who love us teach us about love. And so much better for us to know our stories, to remember. So many third culture kids don't have the chance to go back to their first homes. They'll never have the experience of driving by their first house, and remember the smell of cement and red earth, the driver who played race cars, and the housekeeper who sang lullabies. They won’t return to that garden where they around after shcool and remark on how small it seems now that they're grown. But these boys will get to return to these photos, and know a bit of their story. They’ll know the places that were important to them when they were small. They'll know how many people were around when they were small to love them wholeheartedly. Saying goodbye is tough work, you know? It’s like sadness and nerves, the ‘what will be’ and the ‘oh my heart what used to be,’ It's the promise of longing for old times, old places and old friends, plus the excitement and anticipation of what lies ahead. What new adventures? What new roads will we travel? What new hearts will we meet? I said goodbye to a dear friend last week who is leaving Jakarta, off for new adventures. Jenn is a real, good, kind heart, an artist of the truest order, and an inspiration in that essential art of how to be a human. But before she left, I got to hang out with her and her gorgeous family. We wanted to make some pictures to remember her time in Jakarta, a city that’s been home to her family and her children during their most magical years. This little family is saying goodbye to life in this crazy city, goodbye to chaos, and bad traffic, goodbye to pollution and flooding. But also goodybe to having a beloved aunt and uncle down the road, to their pet dog, and a veritable menagerie of stray animals that made a home together. Goodbye to slow evenings when the light slants low, and the dogs run around until they can't run anymore, and little ones play naked in the sprinkler, no one caring that there are no dry clothes. Goodbye to their school, to community. Goodbye to friends so close they are now family. Goodbye to that golden light, those banana leaves glowing green, and the sound of the call to prayer drifting lazily through the air. 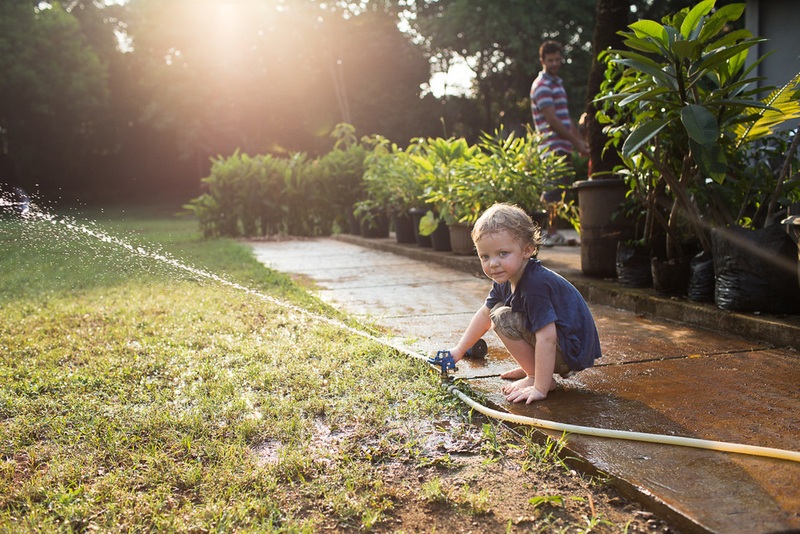 I’m so glad, though, that I got to take these pictures and remind them of wheelbarrow races and white wine in water glasses, golden afternoons, lush green leaves, and red earth, and little dirty feet. Anyway, J. I’m gonna miss you. I already do.